If you’re a fashion design student, budding stylist or photographer, it is highly likely that you will already recognise the name of this widely-acclaimed British fashion photographer. If not, I suggest you take a look at his website, or pick up just about any copy of Vogue published in the past few years. Whether faced with Stella Tennant dressed in a deep fuchsia gown, surrounded by a secret garden-esque mass of rhododendrons, or a demure-looking Agyness Dean standing in the midst of an African sandstorm, it is difficult not to be enchanted by Walker’s dream-like images. The photographer, who shot his first fashion story for Vogue at the age of 25, has also recently branched out into moving image releasing his first short film ‘The Lost Explorer’, in 2010. 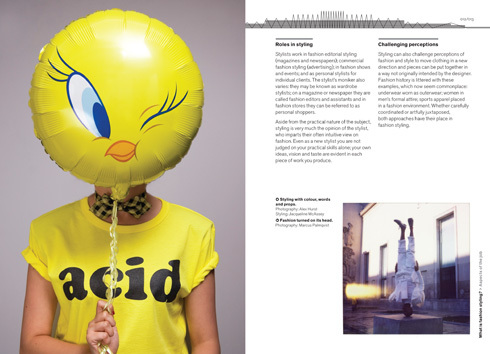 We were really excited to include a selection of Tim Walker’s images in our title Basics Fashion Design 08: Styling. 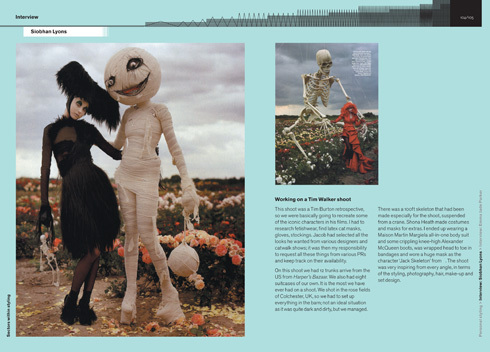 The images were taken on a shoot based on iconic characters from Tim Burton films and appear in the book alongside an interview with Siobhan Lyons, who in her early career worked as First Assistant to renowned stylist Jacob K. Within the interview, Siobhan explains how she started out in her fashion career and what it was like to work on the shoot. Styling also features the work of several other prominent fashion figures such as photographer Will Davidson, art director and set designer Shona Heath and menswear stylist, Simon Foxton. Images from a shoot inspired by Tim Burton characters. Photography by Tim Walker; set design by Shona Heath; styling by Jacob K; assistant stylist Siobhan Lyons. Jacqueline McAssey is the course leader in Fashion Promotion with Styling at UCLAN, UK, where she has taught for over 10 years. Before her career in education, Jacqueline worked in the industry in fashion promotion. 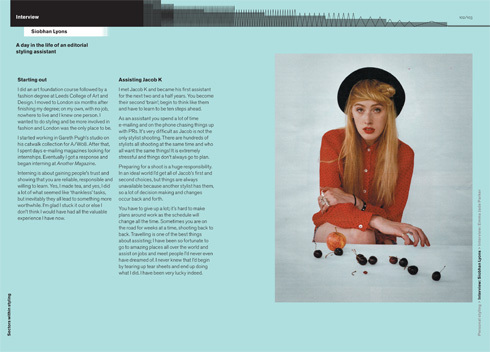 She also works as a freelance stylist, styling editorial and commercial projects, events and exhibitions. Clare Buckley is the fashion editor for The Guardian Weekend magazine. 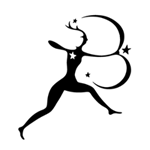 She has worked in the industry for over 10 years as a fashion editor and freelance stylist. Alongside her job at The Guardian, she is an associate lecturer on the Fashion Promotion with Styling course at UCLAN, UK. 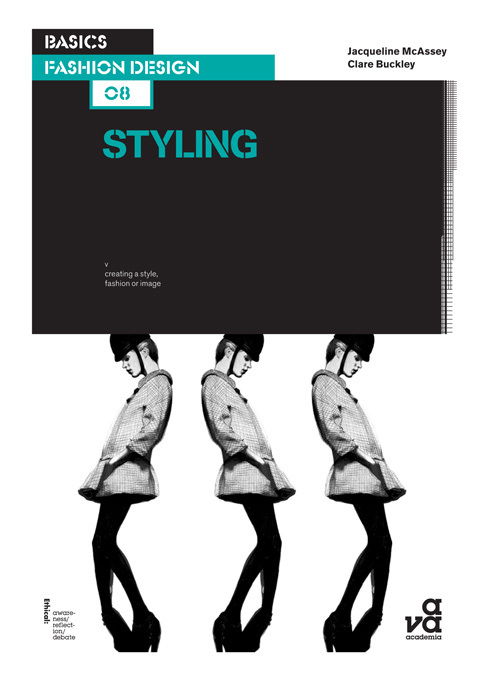 Basics Fashion Design 08: Styling is available to buy on the AVA website.